Statewide is the Pacific Northwest provider of land, habitat restoration, hydrographic and terrestrial surveying services. On land or in the water, Statewide delivers timely, precise results. 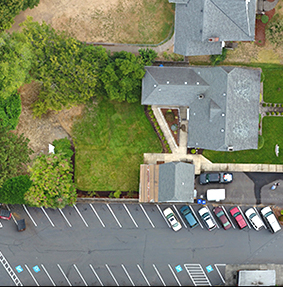 At Statewide, we deliver the highest quality survey solutions to homeowners, contractors, architects, scientists and engineers in both Oregon and Washington. We work hard to deliver perfect results and personalized service. Capable of providing both land and bathymetric surveys, Statewide utilizes single-beam sonar, considered to most portable, cost efficient, and the best choice for many surveys. Using this technology, we have performed both large and small-scale bathymetric projects across the region. 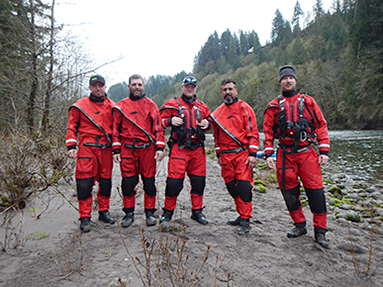 Our field staff has over 15 years of experience in navigating Northwest waters in Oregon and Washington, and is capable of providing precise hydrographic data that can be directly integrated with data collected on land. We maintain in-house survey vessels capable of operating in the shallowest of waters, lakes, bays, and riverine environments. Call 503.665.7777 to learn more. 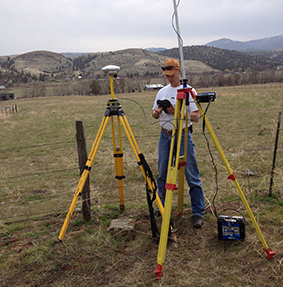 At Statewide, we deliver superior solutions for all land surveying needs. The need could be determining a property line to help resolve an issue around property ownership. Or the need might be staking a new hospital for construction, conducting an ALTA survey, or measuring topography in difficult terrain. No matter what the challenge, we bring many years experience in the field and in the office. We provide continual education to our staff on any and all techniques and tools, and we continue to invest in the latest technology. We do all of this with an eye toward truly realistic budgets and timely delivery. When it comes to surveying services, unmanned aerial vehicles (UAVs) are a giant step forward in terms of capability, precision, and efficiency. UAV surveying allows Statewide to provide low elevation photogrammetry and 3D imagery of large scale projects with a level of accuracy and resolution that could be very costly with traditional aerial surveys or satellites. Properly deployed and managed, survey-grade drones truly save time. UAV survey services from Statewide include collection of data via drones, aerial surveys via drones, aerial mapping, point cloud data, and 3D mosaics. At Statewide, we’re a customer-centric business that thrives on providing price-competitive quality work with an emphasis on shared team knowledge and experience. We work hard to deliver projects that are on time, on budget, and exceed client’s specific goals and needs. Our size enables a high degree of responsiveness to changes in project scope and timelines, and allows for quality control to penetrate all levels of our work. Statewide staff maintains a problem-solving outlook to any issue encountered. The superb quality of the work proves this every time. We promote safety and personal growth for each of our employees through the continual education and training, assuring that they are trained to the highest levels of industry knowledge and safety standards. Our staff is committed to an incident and injury-free workplace, and to date has zero lost time accidents. 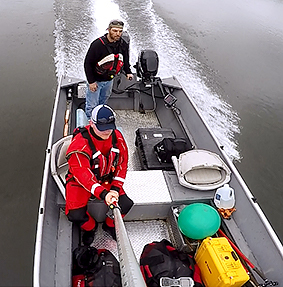 Boat and aerial reconnaissance were used to monitor existing colonies and identify new nesting areas — in order to evaluate the status of the Columbia River Estuary population of double-crested cormorants. Learn more about how Statewide successfully applied an unusual mix of field survey and photogrammetric survey utilizing high resolution stereo imagery. At Statewide, we pride ourselves on the science of precision surveying and the art of clear communication, both with you and among our staff. Our quality control system guarantees that the drawings produced by our talented team in the office are a precise reflection of the information collected by our experts in the field. At Statewide, we believe it’s our job to know the details — so you don’t have to. Copyright © Statewide Land Surveying, Inc. All rights reserved.